researching "Sugar Baby" and attempting to decipher her Aircraft Record Cards. While some specific folks are noted below, I wish to say "Thank You" to everyone who helped. Any errors, mistakes or omissions in these pages are strictly my responsibility, and I apologize for them in advance. However, if you do notice anything that needs correction, please contact me at . My beautiful wife, Chris, who supports my long hours spent researching. I love you. 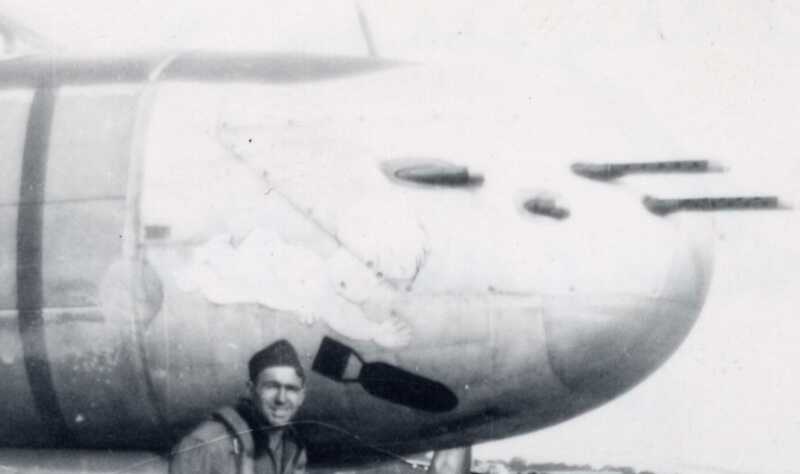 Chris Adams volunteered a considerable amount of time to extracting, enhancing and publishing the Loading Lists for all 285 Missions flown during WWII by the 416th Bomb Group (L), which made my efforts identifying which missions were flown by "Sugar Baby" much easier. Folks at the ArmyAirForces.com Forum are very helpful and I appreciate their level of commitment to improving the collective knowledge of the United States Army Air Forces of World War II. Rich Cookson and Rich Slone's Tribute to Robert D. Cookson Sr. and B-29er's of the Marianas website provided another critical piece of the puzzle needed for me to translate/decode the Aircraft Record Cards. By good fortune, I happened to find on their website scanned pages of the "Individual Aircraft Records" document published by The Air Force Historical Research Agency, Maxwell AFB, AL., 8-Aug-1995. They were kind enough to allow me to include these pages on this site. Archie DiFante, Archivist at the Air Force Historical Research Agency (AFHRA) has been instrumental in assisting with my specific Aircraft Record Card inquiries, including the ARC Summary, and has several times provided a key piece of information I desperately needed. Although Mr. DiFante has been my primary AFHRA contact for ARCs, several other folks at the Agency have provided invaluable assistance in my on-going research into the 416th Bomb Group (L), including Sylvester Jackson, Lynn Gamma, Tammy Horton and Cathy Cox. Sgt. Leland ("Lee") C. Ferguson and T. Sgt. Glenn C. Wilson were the two gunners who trained with and flew combat missions with my dad. I was very fortunate to have gotten a chance to meet Lee and his wife Bert prior to their passing. Lee told me many first-hand stories and also asked his son-in-law, aviation artist Dan Witkoff, to send me a print of the drawing Dan had made of "Sugar Baby". Craig Fuller provided me a digital copy of "Sugar Baby's" Aircraft Record Cards along with incredibly useful tips on deciphering them and a reference to Robert Mann's Aircraft Record Cards of the United States Air Force, How to Read the Codes book. Without his starting points, I doubt I could have understood much about the ARCs. Craig's website is AAIR - Aviation Archaeological Investigation and Research. Robert A. Mann wrote Aircraft Record Cards of the United States Air Force, How to Read the Codes, which is without a doubt, the most important reference for anyone attempting to interpret Aircraft Record Cards. Jim Phillips was a pilot in the 668th Bomb Squadron (L), 416th Bomb Group (L) who flew with my father. I was also very fortunate to have been in email communication with Jim for the last few years of his life and he graciously responded to all my many questions, providing a perspective to my father's military career I could not have gotten anywhere else. Jim Roeder wrote and published A-26 Invader Units of World War 2, with original cover artwork by Mark Postlethwaite. Jim and Mark collaborated and decided to use "Sugar Baby" as the subject of the cover art work, for which I am eternally grateful, particularly since a group of my co-workers banded together, bought the original "Sugar Baby" oil painting from Mark and presented it to me. Wayne Sayles started the 416th Bombardment Group (L) Website and Archive as a memorial to members and families of the 416th. Wayne and the 416th BG Archive hold a treasure trove of Public Domain and personal records and collections. I am exceedingly grateful to Wayne for sharing so much of this information to aid in my research. Carl Sgamboti, Crew Chief on the Douglas A-26C "Reida Rae" (S/N 43-22499) Restoration project and 416th Bomb Group (L) display at the New England Air Museum, helped answer some of my questions, but most importantly from my perspective, Carl provided me a copy of the AFHRA detailed interpretation of "Reida Rae's" Aircraft Record Cards, which was one more of the critical pieces of information I needed. Dan Witkoff, Mark Postlethwaite and Wayne Sayles all graciously gave me permission to use images of their "Sugar Baby" art - Thank you all.